08/29/2016... Did you know that if you have been charged as an accomplice that it’s the same as being the main perpetrator? 08/23/2016... For minors it’s simply a zero tolerance for consuming alcohol in Scottsdale, AZ. 08/19/2016... Criminal charges in Phoenix include a wide range of offenses with varying classifications. 08/15/2016... DUI offenses involve complex legal issues that require representation by a knowledgeable and experienced attorney. 08/12/2016... Before getting behind the wheel make plans to hail a taxi, rent a limousine with friends or simply designate a driver. 08/08/2016... 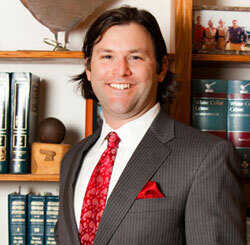 If you are facing charges of Super Extreme DUI it is imperative that you speak with an experienced DUI Attorney. 08/08/2016... An experienced Attorney in extreme DUI defense can mean all of the difference. 08/02/2016... In Scottsdale Arizona even one or two drinks at dinner can get you arrested for a DUI.